I haven't been out in a while, so this past Saturday night was a special treat for me. 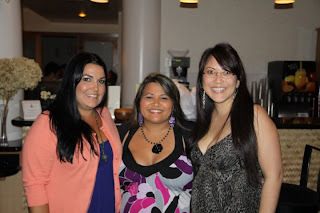 I went out to dinner at Hapa Grill in Kapolei to celebrate my girlfriend's Big 3-0. She's the one in the middle, and she happens to also be pregnant -- due 3 weeks before me! She's also having a girl! While I have heard some good things about Hapa Grill, I would have to say that I was a little disappointed in my shrimp scampi dinner. I love capers and usually order any dish that has it with extra capers. I forgot to this time and realized I really should have -- because there were a total of TWO capers on my plate! How disappointing. I also found the cream sauce a little bland for my liking -- although I seem to have that problem often with cream sauces for some reason. 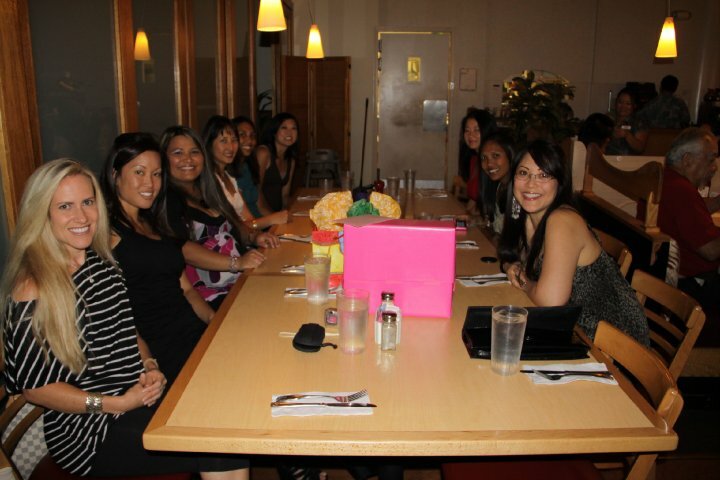 It's always nice to have a ladies' night out every so often, even if there's no drinking or dancing involved. While I wasn't pleased with my meal, I still had a good time. After all, it's the company that matters!